A deluxe Rainbow Magic delight for all you lucky fairy fans. Hurray – you’ve hit the reading jackpot! There’s just one problem: will St Patrick’s Day still be lucky with naughty Jack Frost around? Lindsay the Luck Fairy is really busy every year on St Patrick’s Day. Why? Her job is to bring magical good luck to everyone. 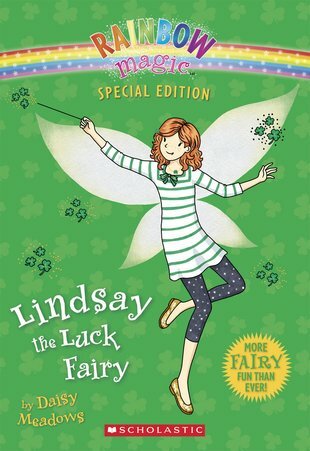 But now Lindsey’s own luck has run out – Jack Frost’s naughty goblins have stolen her lucky charm. Without luck on her side, how will she ever get it back? I sooooooooooooooooo want to read this.